Updated Wednesday August 22, 2018 by Bart Polster. Need Soccer Equipment: Cleats, Shinguards, Balls, Socks, etc... Be sure to visit Upper 90 Long Island located at 183 Broadway in Hicksville. Other locations in Queens, Manhattan and Brooklyn. Mention Sachem Youth Soccer League at checkout for our special club discount. 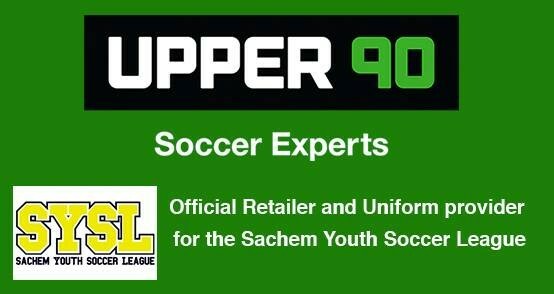 Follow Upper 90 Long Island at @U90LongIsland in Facebook.